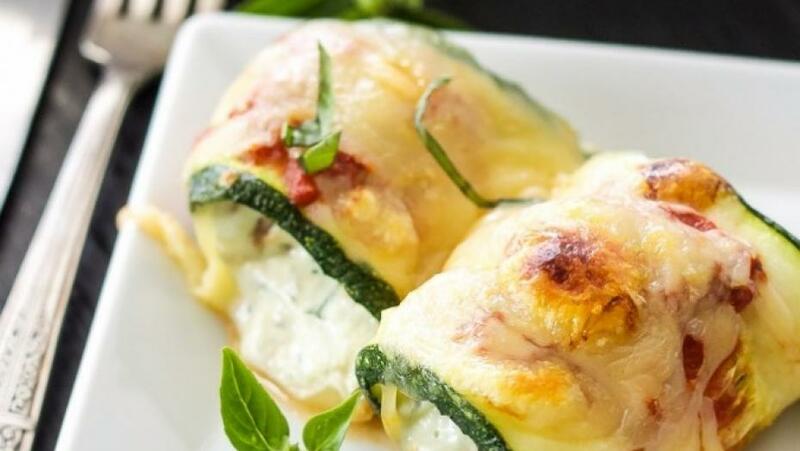 Zucchini is a good subsititue to make any dish healthy. Make this recipe for dinner tonight and feel light going into the weekend! In a large mixing bowl, combine the ricotta cheese, egg, Parmesan cheese, and seasoning. Mix well. Using a tablespoon measure, dollop two tablespoons of the cheese mixture onto each slice of the zucchini. Roll the zucchini. Top each one with a little sauce and mozzarella. Cook for about 25 minutes until the cheese melts and slightly browns.